Join us for our annual multi-generational Water Communion; a “welcome back” service when we regather as a whole community after our summer adventures. 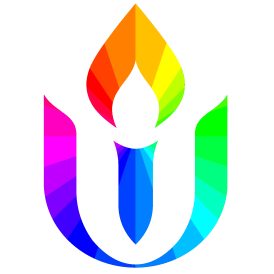 In a unique UU ritual, we’ll gather the waters of our community, whether from your summer travel, a token from our overflowing river, the backyard hose, or kitchen faucet; these waters receive the blessing of all of us and serve as our communal holy water for the year. Please bring a small container of your water for the ritual. Children and families worship together.